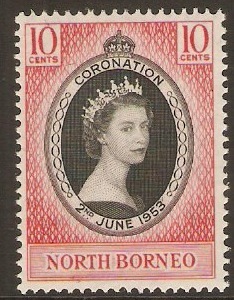 North Borneo 1953 Coronation Stamp. SG371. 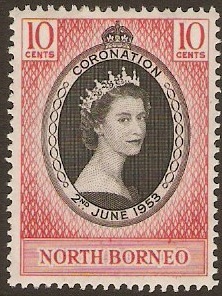 Mounted mint 1953 Coronation Stamp. SG371. 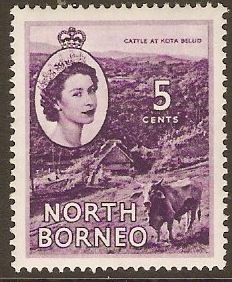 North Borneo 1954 1c Red-brown. SG372. Mounted mint 1954 1c Red-brown. SG372. 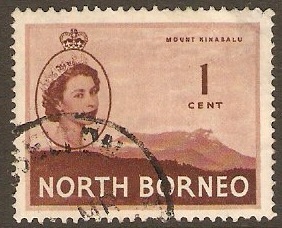 Used North 1954 1c Red-brown. SG372. 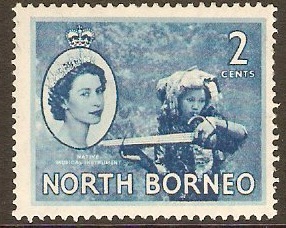 North Borneo 1954 2c Blue. SG373. Mounted mint 1954 2c Blue. SG373. 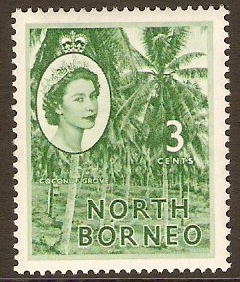 North Borneo 1954 3c Green. SG374. Used 1954 3c Green. SG374. Mounted mint 1954 3c Green. SG374. Queen Elizabeth II definitive stamp. 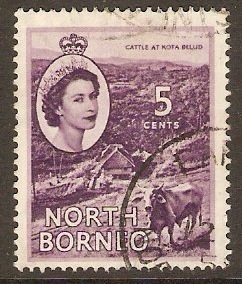 North Borneo 1954 4c Bright purple. SG375. Used 1954 4c Bright purple. SG375. 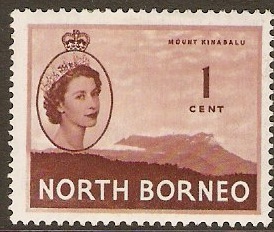 Queen Elizabeth II definitive stamp. Mounted mint 1954 4c Bright purple. SG375. 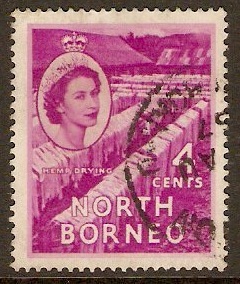 North Borneo 1954 5c Reddish violet. SG376. Fine used 1954 5c Reddish violet. SG376. 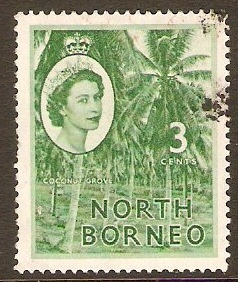 Queen Elizabeth II definitive stamp. 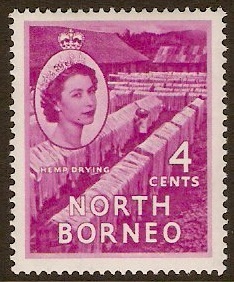 Mounted mint 1954 5c Reddish violet. SG376. Queen Elizabeth II definitive stamp.